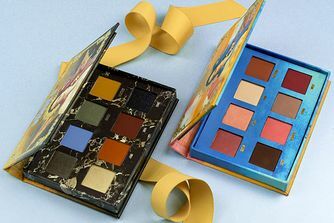 The 'emo' sibling to Lime Crime’s iconic original VENUS palette, this collection of eight rebelliously pigmented shades is exactly what you need to take your make up game to the next level. Encased in an über-cool, kitschy treasure trove, the grey-blue and reddish-brown hues bestow grungy glamour for super-chic eye looks. 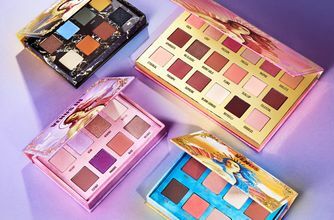 For bang on trend eye shadow looks, the VENUS 2 Eyeshadow Palette will have you wielding your make up brush like a Renaissance master. 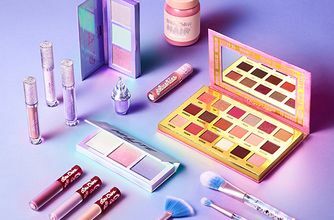 Resembling a – very Instagrammable – collectable, the palette is housed in a beautiful marbled box embossed with kitschy artwork. Our hue highlights? Luminous cornflower blue ‘Filter’ is perfect with ‘Pigeon’, a shimmering brown-blue shade shifter. At the warmer end of the spectrum, pumpkin-spiced creamy matte ‘Jam’ is the ideal partner to rich, burgundy-brown ‘Mud’. Wear alone or layer up for goddess-worthy glamour (with a hint of grunge). Ethylhexyl Palmitate,Zinc Stearate,Caprylyl Glycol,Phenoxyethanol,Isopentyldiol,Silica. May Contain [+/-]: Yellow 5 Lake CI 19140,Mica CI 77019,Titanium Dioxide CI 77891,Iron Oxides CI 77491 CI 77492 CI 77499,Bismuth Oxychloride. I really love the colours in this palette, the mustard is fire, it's my everyday colour BUT the pigmentation is not good. They don't blend nice, the black colour with the glitter is a disaster, and the only colours that actually work easily and melt like butter are the 2 duo chromes. The stars are for the colours, not the quality. The palette is a disappointment. Especially after using ABH. All mattes are somewhat problematic. Blue and green seriously lack pigmentation and the black one is truly terrible. The only great shades are two duochromes. If you want to spend a lot of time on makeup with the shades that basically don't blend into each other - get this one! Probably the most unique palette I own. Beautiful shades of amazing pigmentation. At first sight, I was disappointed, because of texture. I thought it soft, but in my opinion it dry. When I tried to do my makeup I was shocked! It's amazing eyeshadow! Absolutely love! I've had this palette for over a year and use it almost every day. The colours are unique and beautiful but in person, the shadows are disappointing, especially for £33. All Venus matte shades are sooo chalky it's unreal and the darkest ones are almost impossible to use. The light colours are amazing though but the darker shades let it down. At first it may seem that the colour choice was randomly selected with that light blue and black with violet sparkles but actually you can create so many looks with this palette. Love it! 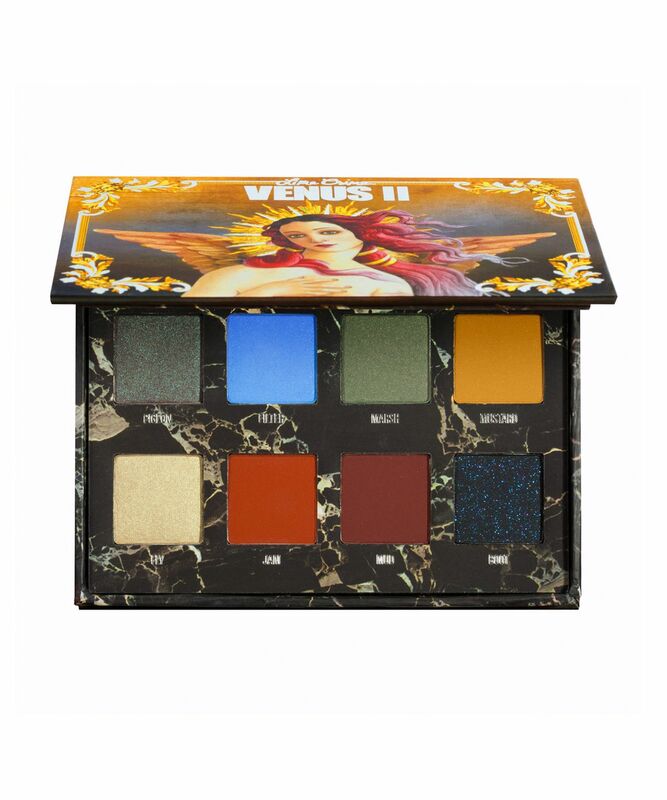 Venus 2 is absolutely beautiful; the shadows are so unique and pigmented, as well as being super easy to blend! It's really easy to come up with interesting looks with this palette because of the colour selection. Also, the packaging is really cute. I was looking for unique colours and that's it. This palette is the best. The shades are so easy to work with and pigmented. I wish there were more than 8 shades for the price. 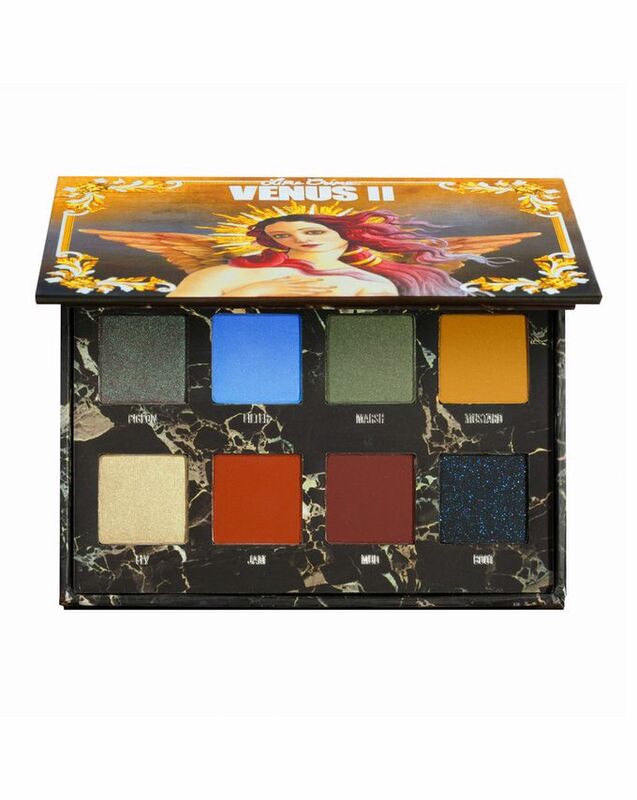 I started with the Venus 1 and I fell in love with the formula and the pigmentation, so I decided to get also the second palette and what can I say, it has not failed my expectations! The only thing I should say is that the deep red is not so easy to blend as other colours, but it also may be my palette that went off to be "damaged". 100% would recommend it to a friend! Don't miss out. The colours are really unique, but where is the goddamn pigmentation in shades filter, marsh and boot? there is no pigmentation in there. I really adore this palette, it's always the one I reach for when I want a bolder or more colourful look. The eyeshadows are creamy and so easy to apply. It's definitely one of my favourite palettes, even just to look at on my vanity when I'm not using it. Very unique mix of shades. Pigmented, easy to blend. No major skill level required, beginner friendly. So much inspiration in one palette. I love this palette, I don't reach for it all the time but it makes me happy to know it's there. You can't create a conventional look with it but the shade range is just ripe with inspiration to do a wash of a single bold colour or to build a whole look around one shade, it's an incredible thing to have on hand. Absolutely love this palette you can create some funky looks with it. The pigment is amazing and they're easily blendable. The shade filter is by far my favourite the perfect baby blue colour. First of all I absolutely love the packaging and the colour selection is amazing too. All of the shadows are pigmented and most are easy to work with, with the exception of the shade "Mud", which I found very hard to blend on the eye compared to the rest of the shadows.